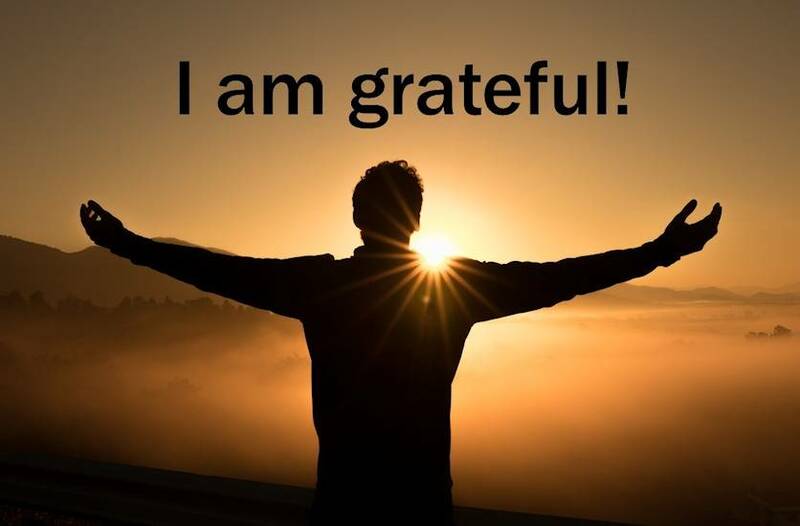 Many recent scientific studies have revealed that an attitude of gratitude actually creates a more healthy mind and brings healing to those who are troubled. The fascinating part of it to me is that this only confirms what the Word of God teaches. The Bible teaches us to give thanks to God in all things and to rejoice in the Lord, in all things. Finally, brethren, whatsoever things are true, whatsoever things are honest, whatsoever things are just, whatsoever things are pure, whatsoever things are lovely, whatsoever things are of good report; if there be any virtue, and if there be any praise, think on these things. We are to be anxious for nothing but in everything by prayer and supplication and thanksgiving to make our requests known to God. You see how our prayers and supplications must be framed by thanksgiving? If it is, then we shall have access to a peace that surpasses all understanding. Paul tells us that he had “learned,” to be content no matter what situation he found himself in. Paul and Silas dramatically display the power of gratitude when finding themselves in a wretched dungeon, scourged and shackled and in the midnight hour they begin to show their gratitude to God by singing His praises. Down comes the power of God and the whole building shakes. The other prisoners are mesmerized by the whole thing and although their prison doors are flung open, they stay right where they are, right there in the all consuming presence of our majestic God. This attitude from Paul and Silas, this determination to focus on and praise the almighty God and their gratitude towards Him transforms and transports them out of darkness of their situation into His marvelous light. Since my salvation I have personally met hundreds of people who have been transported from the most spectacular dysfunctional backgrounds, and I would include myself in their ranks, into the realms of light and health in their minds. 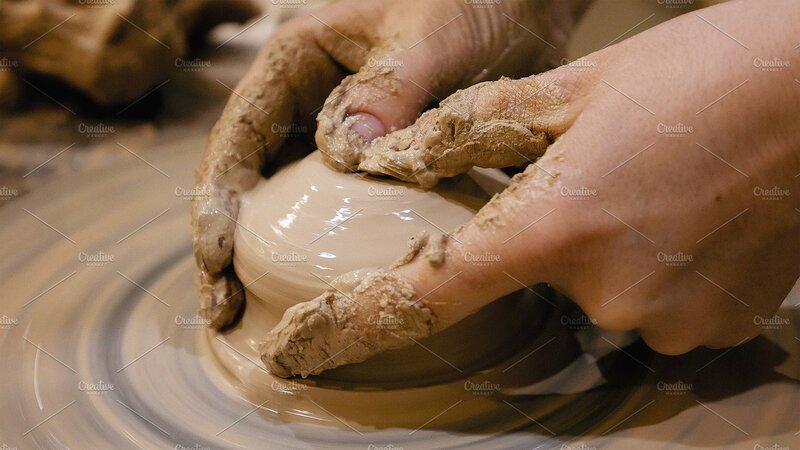 It is a brilliant thing to see the God of all creation, take ten thousand broken pieces from the most delicate of vases and painstakingly put them back together until they are once again whole and restored. Simply put brothers and sisters, true light comes from above and from within. It is the light of Christ that ever burns in us that lights up the interior of our hearts and minds. Although we are surrounded by the gross darkness of this world, we have a light within us, that light is Christ sitting on the thrones of our heart that outshines any darkness. If we look at the light of Christ in all things, in the storms, in the chaos, on the mountaintop or in the deepest dungeon then we are walking in the light as He is in the light and we have fellowship one with another. God is always worthy to be praised and thanked no matter our circumstances. God inhabits the praises of His people. He breathes upon a thankful heart. He brings joy where their should be despair and in that joy there is a strength that enables us to run and not grow weary despite the length of the race, to walk and not to faint despite the heat of the day and finally to mount up with wings as eagles and fly into His arms and find rest for our souls. About ten years ago as I was praying, I had an intense vision of sorts. I have had very few of these since becoming a Christian almost thirty years ago. As I was standing praying, suddenly I found myself plunged beneath a river and lying on my back on the river bed as the waters ran over me. The water was not deep, it covered my face by just a few inched but it was fast flowing and I was lying on the river bed which consisted of small smooth stones. I immediately panicked and held my breath thinking I was going to drown. I could not get up, but right away the Holy Spirit told me to “breathe.” Against all reason and with fear in my heart, I opened my mouth and took a breath and found that I could breathe. Without any words, the Holy Spirit conveyed to me that these were the waters of life and that I had to submit to these fast flowing waters. They would, over time, take all the rough edges off me and I would become like the smooth stones upon which I lay. Only over time has it been possible to see the full picture of what the Lord was doing and showing me. The waters were the circumstances of life, the trials and tribulations that come upon us, the testings of our faith, the obstacles and the refining fires that forge us and shape us into useful weapons of righteousness in the hands of the Lord. In 1 Sam chapter 17 we see the encounter that David has with Goliath. David was only a young man but even by that time he had been working for many years. And over those years as a shepherd boy he had encountered many wild animals that sought to kill and destroy the flock over which he had been called to watch over. He had proven himself loyal and faithful to his calling and in the course of events he had even killed a lion and a bear with the help of the Lord his God. David could not have known he was being prepared for this day and the days to come when he would become king. When David announces that he would fight the giant, the world attempts to equip David by giving him the finest set or armor available, the kings own armor. David knows right away that these weapons of war were carnal and they would do him no good in the coming fight, he had no idea what to do with these weapons. Instead David goes to the river and takes five smooth stones from the riverbed. These stones were David’s weapons of righteousness. One of these stones would kill what was probably the foremost warrior in all the world. A simple stone from the riverbed becomes a weapon would take down the most formidable foe. Right now as we speak, God is preparing a remnant army. They are not being prepared for war in any conventional sense. Maybe you can relate to the trials and the testings of life that has taken the rough edges from your life. You have been shaped by circumstances. God Himself, the sovereign Lord of all is trying you and testing you. Many times you have wondered what it has all been about. You might look back at your life and think “was it all worth it, I seemed to have achieved very little.” Can I encourage you today saints, God knows. He knows how to assemble an army that marches on its knees. He knows how to hone a weapon of warfare that is not carnal but mighty in the realms of the Spirit, able, in the right hand, His hand, of taking down seeming invincible enemies. You are His smooth stones and you must wait patiently in the river for the day that God has chosen for the army to arise. The day is coming. The enemy has been arrayed on the battle-field. Can you hear his loud boastings? Can you hear his army laugh and ridicule and scorn? On the other side of this battle God is raising up a fearless, indignant army who will overcome by the Blood of the Lamb, the word of their testimony and most importantly, because of their love and passion for God, they loved not their lives unto death. When Joshua, that great warrior of Israel, miraculously passed over the river Jordan he ordered 12 stones to be taken from the dry river bed. These were undoubtedly smooth stones. They were arranged in a circle and called Gilgal. This was a reminder and a monument to the miraculous. Every time these smooth stones were seen the people would know that they worshiped a mighty miracle-working God who would go to any lengths to deliver His people. God is now raising up an army that in and of itself will testify to the fact that God is a miracle-working God who takes the foolish things of this world and He uses that to overcome the might and the those who are wise in their own estimations. Praise the Living God today. I think if we look around the Christian landscape today, it’s all old wine-skins. Unless we have a radical departure from our modern versions of Christianity and return to the original model, we are destined to be trapped, prisoners of our traditions, each of them chipping away, slowly but surely, until there is nothing of the original recognizable. You don’t get lost by taking a single step, although it takes a single step to begin the process of losing ourselves. Today we are a lost people. Yet the strange thing is, we have a map and the writer of the map with us. Imagine complaining of being lost but refusing to retrace your steps back to where you came from, it would defy logic. It does defy logic. Will the Lord find faith on the earth? I think it is a key question and vital aspect of our walk with the Lord. Without faith it is impossible to please Him. What is faith in this context? Trust. This kind of faith overcomes fear, it is the opposite of fear. And so when we trust Him, which in most cases translates to obey Him, then we have en encounter with Him and perfect love casts out all fear. The Lord works through His people, He requires their cooperation. When the Lord gave the Israelites the promised land, they were required to “possess,” it. We have so many promises from the Lord which also requires us to possess it. In the simplest equation it is “you do this and I will do that.” One example would be “come unto me and I will.” In this case He will give rest unto our weary souls. Another is “I stand at the door and knock.” Now, when one hears their door knocking in their house, they get up and go answer it, action is required. When the Lord compels us to return to His first love, then it is we, just as the prodigal, that have to get up and return. And when we do, we find a loving Father running to us with wide open arms. The Lord is asking His people to throw of the vestiges of their traditions that make the Word of God have no effect. Will we have faith to throw off our old wine-skins? We can throw them off now or they will be taken off. When the Israelites had wandered too far from God He brought them back through invasion and captivity by cruel people. There is a great persecution coming for the saints and when it does, the saints of God will not have their traditions to fall back on, only God. Everything else will be swept away. It is better to prepare and be ready than to be taken captive but one way or another the Lord will find faith when He returns. The way of knowing God. You see that riches in and of themselves are not sinful or harmful. It is the desire to be rich that draws men into temptation and a trap, and releases many hurtful lusts which the Scriptures say drown men in destruction and perdition, which means eternal destruction. These are very solemn and frightening warnings. Now I would argue that knowledge, in and of itself is fine, but the pursuit of head knowledge in relation to God has the same kind of consequences. It draws men into the harmful sins of pride and ego and of course pride separates us from God, He resists the proud. There is a way to know Jesus more deeply, it is found through suffering. And he said unto me, My grace is sufficient for thee: for my strength is made perfect in weakness. Most gladly therefore will I rather glory in my infirmities, that the power of Christ may rest upon me. (2Co 12:9) Here Paul is speaking about how the power of God may rest upon us. It is ironic that so much of the charismatic movement is taken up with a desire for the power of Christ yet rather than submit to suffering and infirmities and simply trust in God knowing that His grace is sufficient for us, they desire the opposite. They see no place for suffering or infirmities, to them it is a sign of a lack of faith. Can you imagine if your pastor stood up next Sunday morning and asked the congregation is they desired the power of God in their lives. We can say with great probability that almost everyone would raise their hand to that question. Next he tells the congregation that in order to truly move in the depths of Christ, to be closer to Him and to have the power of Christ rest on them they must surrender to sufferings and trials and tribulations and infirmities, not only surrender to them but praise God for them for when we are weak, then He is strong and He is glorified in the midst of our own sufferings. How many would come forward to the altar for that call? University and Bible college will not bring you closer to God. Head knowledge will not bring you closer to God. You can pursue degree after degree and masters and doctorates, but this desire for knowledge, for the sake of knowledge will draw you away from God. Those who suffer much for His cause, those who face trial and tribulation for His sake, those who have thorns in their flesh are humbled for if the Lord will give us an abundance or revelation we need to be in such a state of humility. God’s remnant saints walk the way of infirmities and weakness. They know what it is to be persecuted and hated for His sake. They do not desire to impress men, they do not suffer from the fear of man, they are anointed with the fear and the favor of God. The pursuit of anything other than communion and intimacy with Jesus will lead us away from Him. No matter how righteous the matter is that you are pursuing, if it is not Jesus then you are in very real danger of falling into temptations and being caught in snares. Perhaps you have been pursuing something other than God. Today is the day to die to that pursuit and know that God’s grace is sufficient for you. Rest in Him, be found in Him, it is the greatest treasure that exists and it is the only way to know Him more deeply. Come into His depths this day.